The sophomore album of Archy Marshall’s project, King Krule, comes four years after the band’s debut LP, 6 Feet Beneath the Moon, and a lot has changed for the street-weary poet. Most noticeable is his growing familiarity with a style of production worth every bit of your attention. It has staked out its own position at the forefront of a genre that is in the process of being discovered and explored by only a handful of musicians. Marshall tuned into that sound with his self-titled project’s debut, A New Place 2 Drown, back in 2015. With The OOZ, it seems as if Marshall is trying to apply his newfound talent as a meticulous producer of smooth, unpredictable beats to his earlier project of melancholy, image-heavy songwriting. At times, this seems to lend credence to the idea that Marshall might be trying to do too much all at the same time. After all, wasn’t that the point of forming multiple projects, to keep these seemingly disparate sounds from melting together? Marshall has been active in talking about what The OOZ is about, namely the myriad ways in which our bodies excrete waste. In light of this perspective, it’s possible to see the progression from sad jazz to grunge surf to vaguely indie rock as intelligible. The unifying theme is the physical musician and the troubled mind that is excreting these emotionally taut messages. An expulsion of sound that could not care less about which box you tick off next to its genre but stays in the album’s appropriate color palette all the same. It’s not all gloom. The second single released to tease the album, “Dum Surfer,” is incredibly addictive and shows Marshall’s ties to the diverse English music scene’s amusing clichés and pitfalls. “Emergency Blimp” is another one of the relatively rare songs on the album that you could easily play to a crowd. Catchy hooks and Marshall’s signature sneer come rolling out in force to get your feet bobbing, whether at the venue or at home on vinyl. 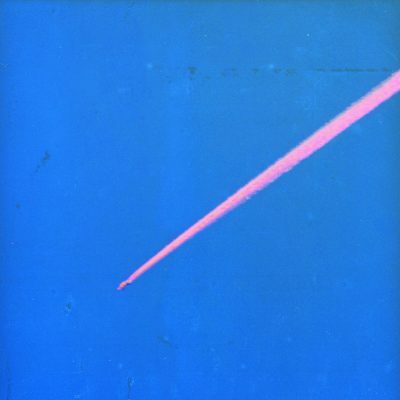 It should be noted, though, that Marshall is first and foremost a poet, and the debut as King Krule was awash with imagery that allowed for as close an inspection into the content of the lyrics as one would like. The luxury of taking his poetics as purely art has subsided a little with The OOZ. His lyrics are more direct. On “Midnight 01 (Deep Sea Diver),” he moans, “Why’d you leave me because of my depression / You used to complete me but I guess I learned a lesson.” There’s little room for anything else but to hear Marshall for what he’s saying, as there isn’t much of an attempt on his part to disguise his vulnerability.